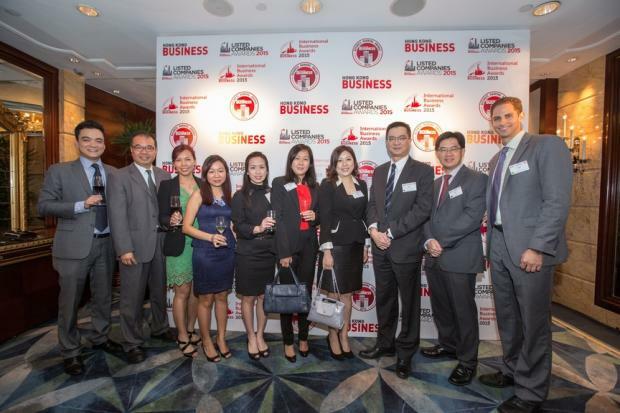 Hong Kong Business Magazine honored the city's biggest and most innovative firms at an awards ceremony held yesterday at Island Shangri-La Hong Kong. Around 100 executives and business leaders attended the event, which was made up of three distinct awards: the Listed Companies Awards, the International Business Awards and the Business Ranking Awards. "Tonight we celebrate some of Hong Kong's largest and most influential firms. Among our roster of winners are innovative listed companies and trailblazing international businesses, as well as the largest firms in specific industries," said Tim Charlton, editor-in-chief of Hong Kong Business.